If you’re a fan of Google’s Knowledge Graph, you may have noticed the recent addition of “related topics” displayed for certain kinds of queries. 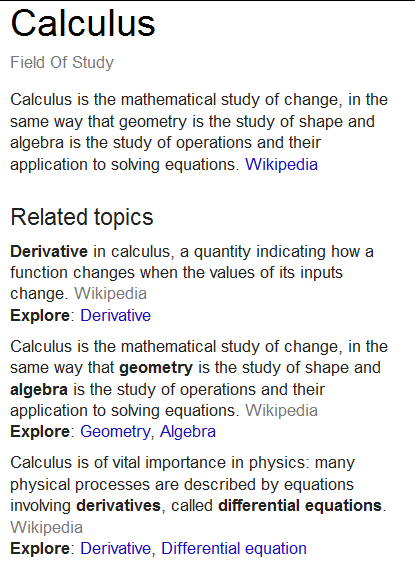 Clicking on a related topic brings up the Knowledge Graph for that subject. If you’re not a fan, it’s time you started paying attention. Google launched its knowledge graph in May 2012 with the purpose of providing searchers with answers, not just links to answers. The system displays facts about the searched topic whether people, places or objects in a column to the right alongside the regular SERPs, but only for certain queries. The Knowledge Graph contains over 3.5 billion facts about 500 million entities covering everything from actors to lighthouses to sports teams. One key point is that the relationships between these entities are as important as the facts themselves. As part of Google’s evolution towards searching for entities or concepts rather than keywords, the development of the Knowledge Graph was a major shift. However, until last year it remained a curiosity that mainly attracted students doing their homework and knowledge buffs going “fact surfing”. The Knowledge Graph tiptoed into the mainstream least year with the advent of the Hummingbird update. With the new algorithm focusing on entity-based searches and answering specific questions, the Knowledge Graph was the ideal authoritative resource for Google to tap into. The move allowed Google to meld its question answering system with big data technology to be able to process more varied search inputs including natural language and queries in the form of full questions. It’s a way to expand the range of query types Google can effectively handle. The Knowledge Graph plays a key role being a resource to which they can map related information for an entity and thus access answers to queries. The whole business surrounding the Knowledge Graph seems convoluted to those of us SEOs brought up on things like exact and broad match searches. However, Google is moving ahead and you need to follow a few simple pointers. 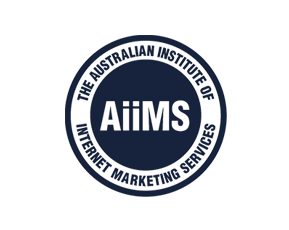 Always have user intent firmly in when formulating web sites and content strategies. Personalise your sites to target this intent. Look for every opportunity to take advantage of semantic mark-up to allow the spiders to know what entities exist on the sites you work on. Be sure to make maximum use of the publisher and author tags to declare your authority and content ownership. Never forget that Google as always is focused on delivering the best results to a searcher. By expanding the ways of phrasing inputs and relying on the Knowledge Graph to provide authoritative responses, it’s set to enhance its ability to do just that. Meanwhile we should all be focused on providing our clients with web sites that provide an optimum user experience. Do that and all else will follow.